A Terraced Cottage occupying a level location situated in the town centre, providing excellent access for all local facilities. The property, which has recently been renovated and updated by the current Vendor, comprises of many characterful features, and must be viewed to be appreciated. This updated character Cottage is situated within striking distance of the town centre, and comprises entrance hallway, lounge, inner hallway and door through to the kitchen/dining area, which has recent fitted range of high gloss base units and ample worktop surface areas with built-in appliances. The property has ample seating area to seat a family, and has access onto a rear courtyard garden. There is also a downstairs wet room and cloakroom. 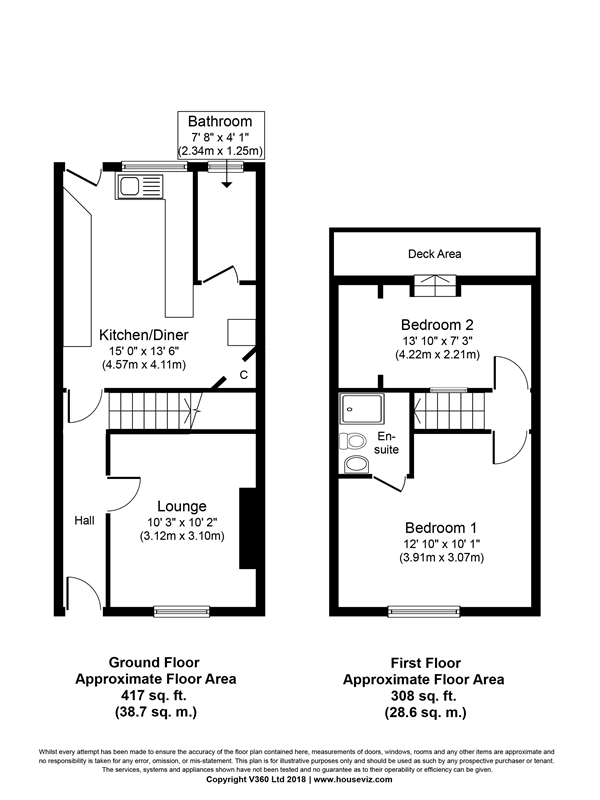 Upstairs, the property has 2 spacious double bedrooms, the master bedroom with an en-suite, and the second room has a recessed area. The ‘wow’ factor about this particular room is there is a door opening onto a terraced garden area that has been recently updated. The property also benefits from double glazing and gas central heating. Viewing of this property is highly recommended for those seeking a character Cottage situated in the town centre, that has been updated.